belle maison: Mixing the old with the new! Mixing the old with the new! 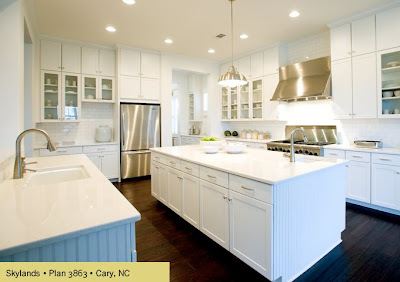 As a follow up to my previous post on historic homes, I thought these interiors, created by Martha Stewart for KB Homes (I don't know if SHE actually designed them...), would be the kind of interior design that would compliment the historic exteriors nicely. 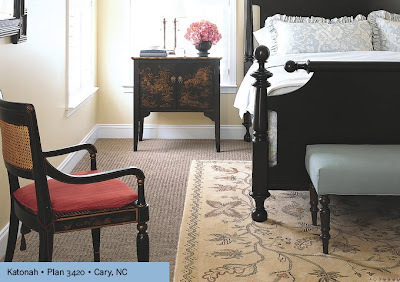 Each room has a great balance of traditional and timeless design mixed with a clean, fresh updated look. I love the photo with the double desks. The silhouttes really stand out. Do you know if there is any significance to the number 26 on the wall? Beautiful rooms. I too am a bit smitten with the double desk photo. And the houses in your previous post are gorgeous! i love, love, love the office shot with the beautiful desks & silhouettes. perfection!